Say IoT one more time!! IoT or Internet of Things now is one of the most used terms in the technology world. All the big technology vendors are establishing an IoT related business or developing a related product. Also most of the companies are researching on how to benefit from IoT to increase their bottom line. It is expected that over $6 trillion dollars will be spent on IoT solutions over the next 4–5 years. The total revenue across all app stores is estimated to reach $100 billion dollars. The IoT value chain is long and it ranges from devices, devices connectivity, communication technologies, security, solutions development, data science, analytics, and visualisations…etc the list goes on and on. There is a room for many players to participate in the game. However, my view is that everyone is talking about it but they don’t know exactly what do with it. Most of the presentations and conversation I have seen are sharing the same blueprint architecture and concepts. My take on that IoT solutions yes are complex solutions but they are being commoditized. All technology firms are providing the technology required at low cost and “As a Service”. For example, Microsoft provides the IoT Suite which includes all the essential components to implement an IoT Solution like device connectivity, complex events processing, big data storage, stream analytics…etc. The value in the IoT solutions is not from the platform itself (of course it is useful) but what you are going to do with the data collected! IoT solutions result in a huge amount of faced paced data. I think the term “IoT” is not suitable for what it is trying to achieve because just connecting to devices is not useful. Find the value in the platform before trying to connect devices! I remember 8 years ago I was driving with a friend in the streets of Cairo, Cairo is known of its chaos traffic and amazing mix between vehicles and pedestrians which are unmatched, and it has its own secret rules. Cairo streets are missing traffic lights and drivers have their own rules to cross junctions and roundabouts! At this time web technologies, online services and web services were booming. I told my friend it should be easy to attach a data SIM card on the traffic light so it can connect to a central control system that can monitor the traffic, and change the traffic management pattern based on this information. It was a very cool idea, but it looked like this was far fetched at this time. Fast forward 8 years, and now we are in 2014 and all major technology providers are talking about Internet of Things (IoT) or as Cisco is calling it Internet of Everything (IoE). It is cool to see some of the ideas are happening! 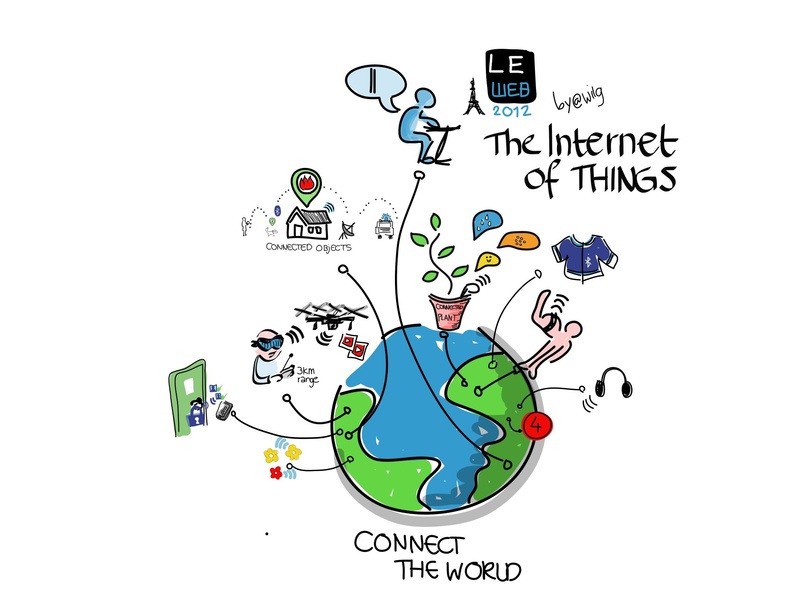 IoT or the Internet of Things is becoming more and more salient technology trend these days. Big players like Microsoft and Google are playing a huge role in the development of this technology. In addition, Microsoft is expanding its flagship cloud platform Microsoft Azure by including Event hubs. Event hubs helps solve data flow challenges where you want to ingest, persist, and process millions of events per second.